Approved for ATL and one man testing, the new Boston hydraulic and pneumatic Wheel Play Detectors lead the field with more features and benefits than any other units available on the market. 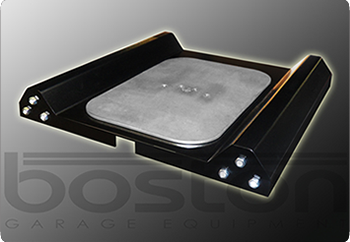 Compared to some models, a Boston PD provides substantially more force, extra moving-plate travel and a larger plate area – all recessed into our broad platforms which are up to 30% wider than some others. If you plan to enjoy the extra profits of one-man testing then it’s essential to install the right play-detector . . . and for sure they are NOT all the same. A good quality play-detector will save you lots of time, reliably improve MoT tests – and only one person needed! Approved for Class IV and VII testing, the PD302, PD303 and PD304 have many advantages, such as stylish membrane control keypads and portable robust torch controls using bright LED clusters. 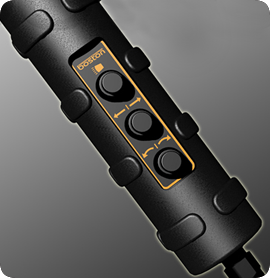 Our wireless rechargeable torch is also an option providing complete mobile flexibility. Furthermore, at just 45mm high, they are the most slim-line models on the market. Select below to see further product specifications. In addition to the high specification, the PD304 brings manufacturing back to the UK. Designed in-house by our technical design department and manufactured / assembled here at Boston; the PD304 really is high quality engineering at its best. Boston’s PD-302 offers the big advantage of self-centring, automatically, instantly, accurately at the touch of a button. 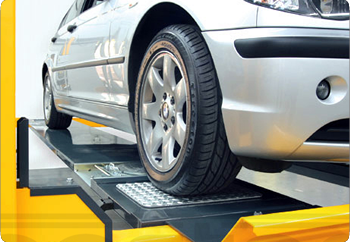 This saves time and ensures correct left and right movement, but importantly this feature also avoids excess one-sided travel and impact forces which are not good for the play detector, the vehicle or the lift! PD302 is powered by patented fluidic muscles which can develop ten times the initial force of same diameter air-cylinders. The advantages are extraordinary….. Instead of air cylinder problems – there are no pistons, no rods, no packing or seals, no gaskets or rings, no needles or magnets. No friction, no wear, no maintenance and just one moving part. Fascinating perfection of a bionic principle. For more information on advice on Garage Equipment and Boston Play Detectors, just give us a call on 01948 780546.